If you’re a new RV owner, you probably have read up on the subject of long-term camping. You also may know a thing or two about living in a small space thanks to the limited square footage you have to work with. Knowing what to bring with you and what to leave behind takes time. After a few weeks on the road, you’re well aware of the things that you no longer need or want to use in your home on wheels. Becoming a master at camping is easy when you’ve discovered timesaving and space-saving hacks to make use of. The following list of suggestions take you from novice to know-it-all in no time flat. They increase the level of comfort that you feel while camping and ensure that your time on the road is among the happiest experiences you’ve had the pleasure of having. Hanging organizers, particularly the ones that can be placed over doors are very helpful. You can keep things organized in their pockets and make use of a space that wouldn’t usually be utilized. Shoe holders are inexpensive and very practical especially if the pockets are clear. Although Wi-Fi is available at many campgrounds, the service can be spotty due to location. A Wi-Fi reception booster is an inexpensive and effective way to ensure that you’re able to get online wherever you go. Most retailers that deal with electronics or camping products have them in stock for you to purchase in person or online. Vent cushions are a solution that allow you to block cold air from entering the RV. They’re meant to fit vents with deeper slats. They add extra insulation to the recreational vehicle which is very welcome during the colder camping days of the year. There are plenty of ways to make camping in RV more comfortable. Before you set out on your next adventure, consider these hacks and how they increase ease and portability in your life. 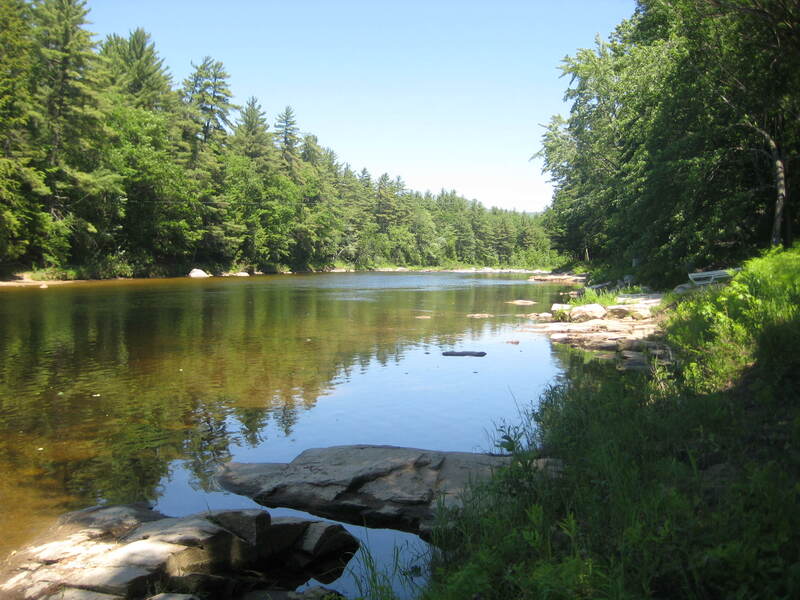 You and your family can enjoy the Great Outdoors for longer because of the steps you took to prepare your home away from home for an extended stay at Saco River Camping Area.